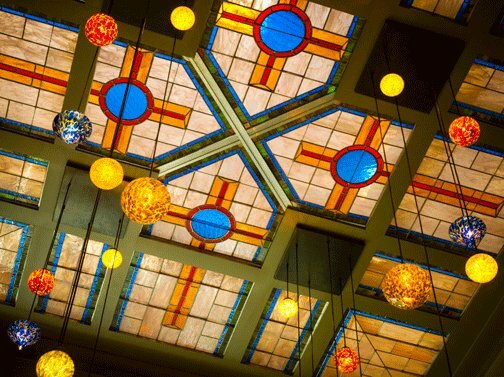 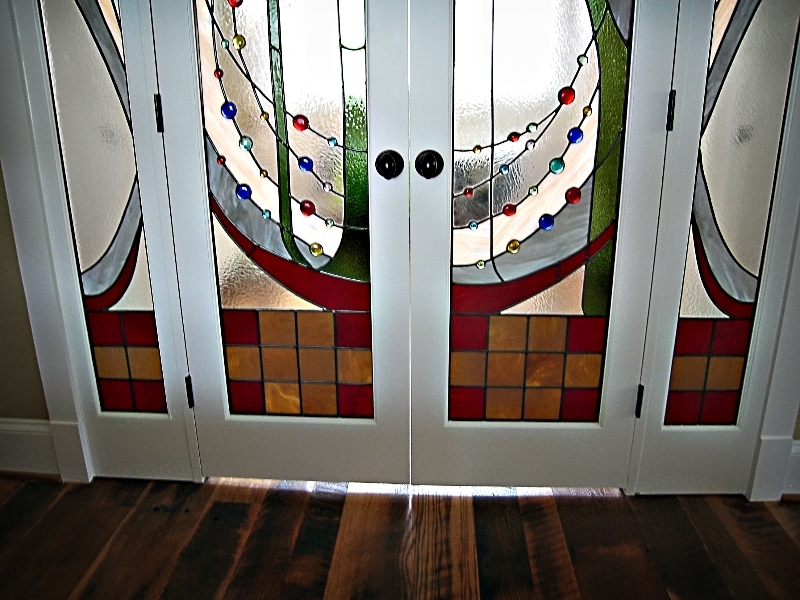 This original design & creation was inspired by Frank Lloyd Wright. 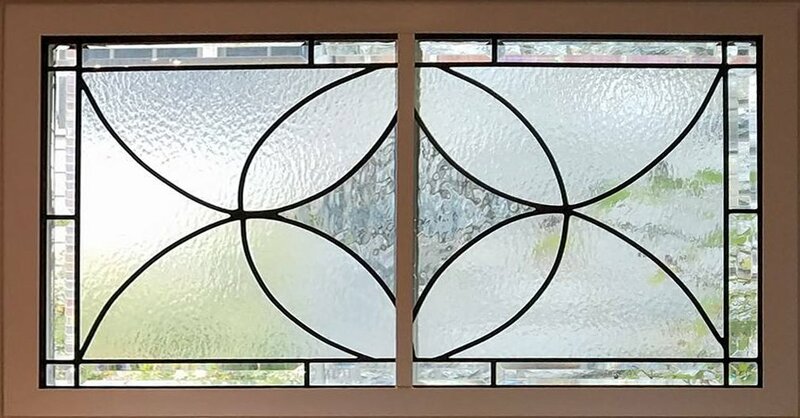 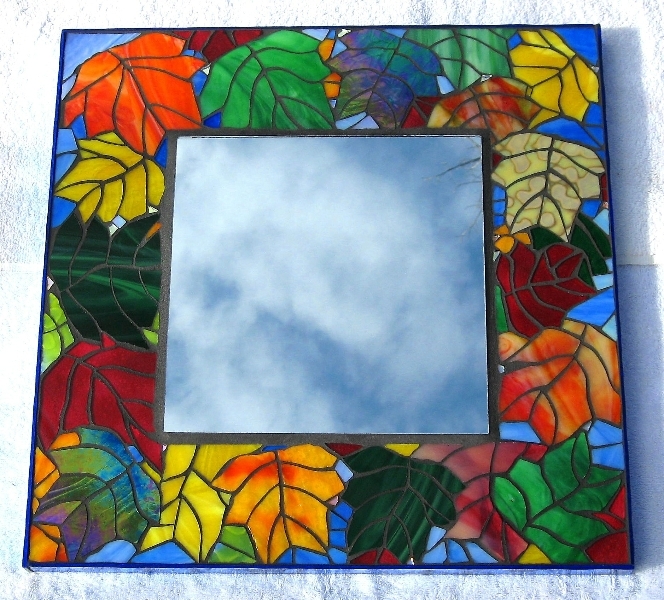 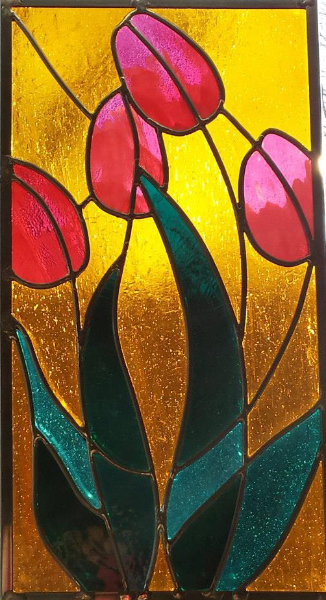 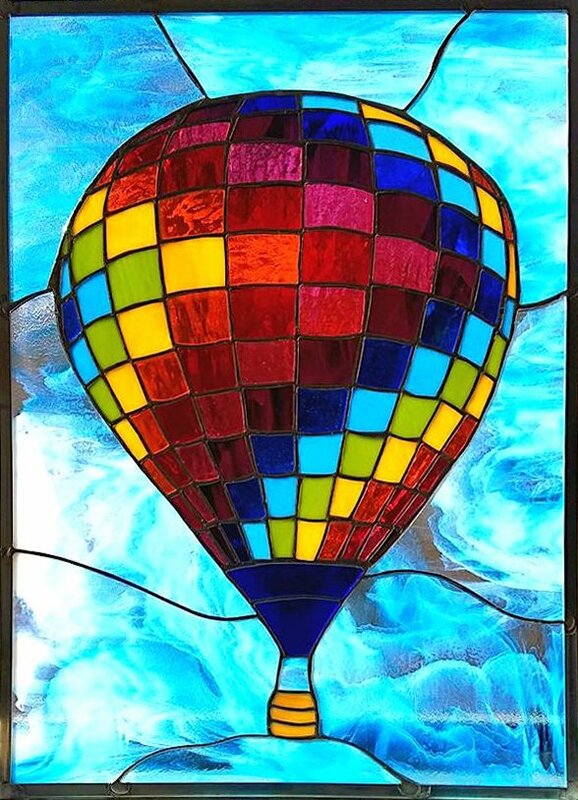 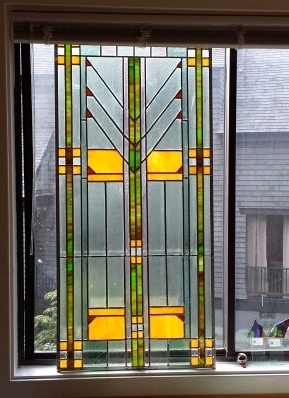 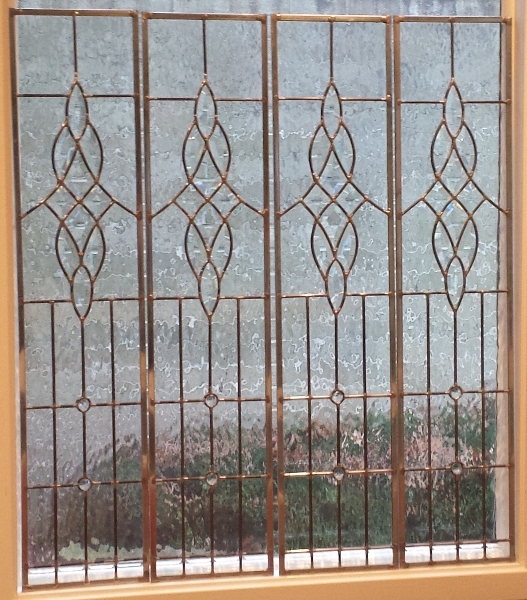 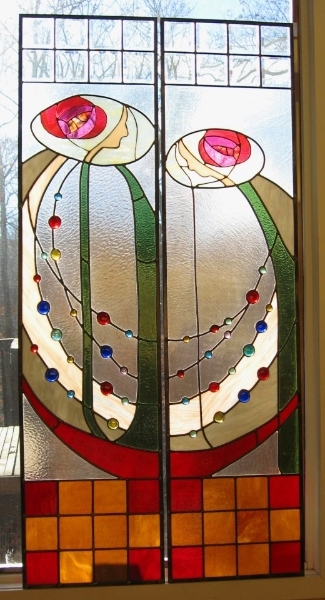 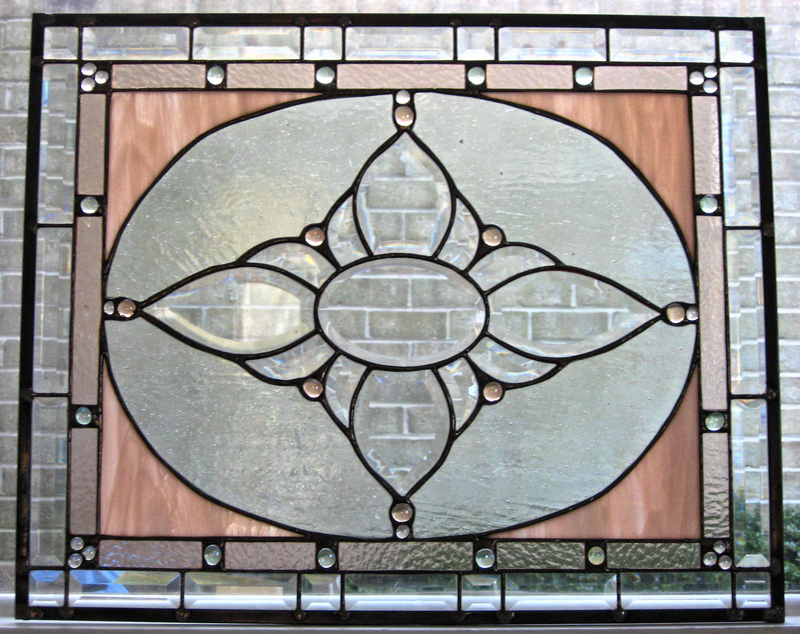 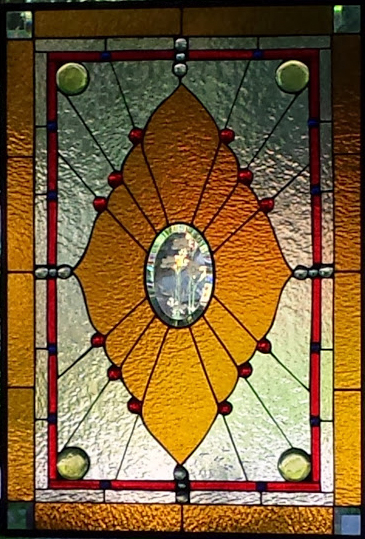 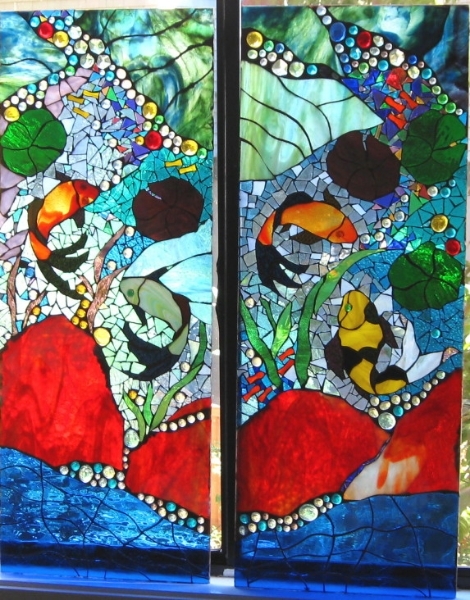 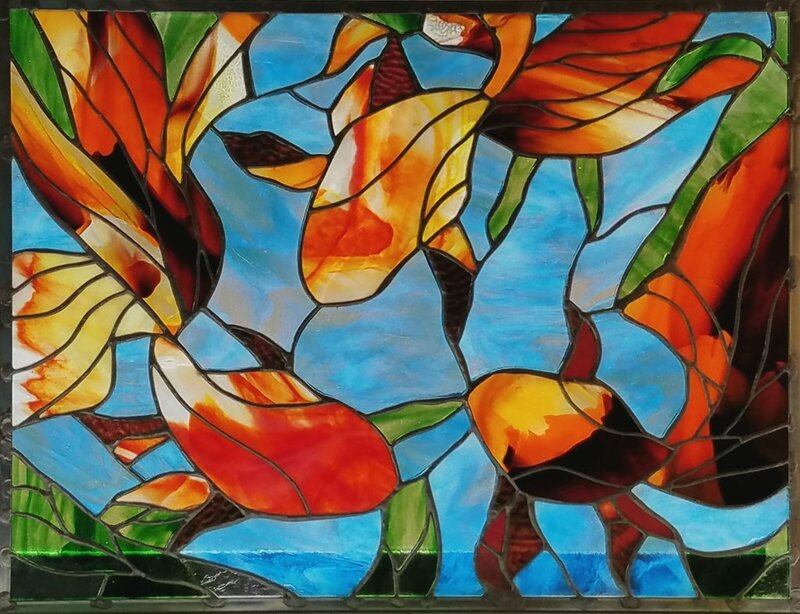 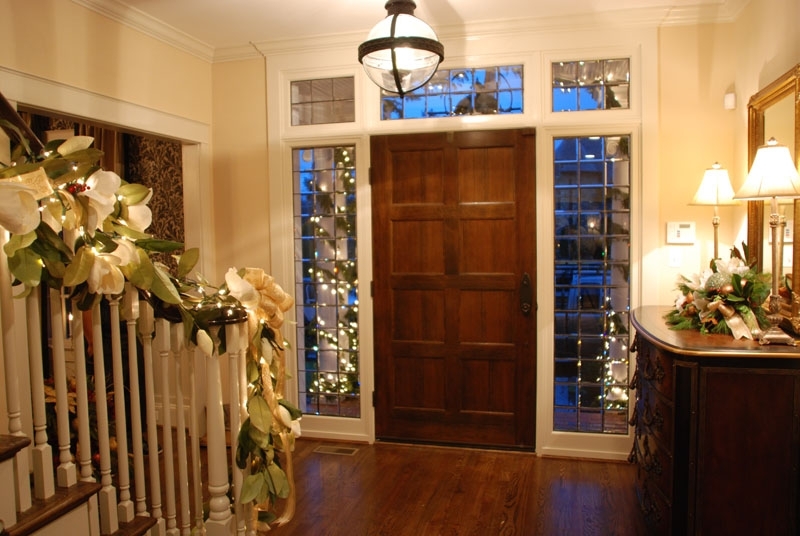 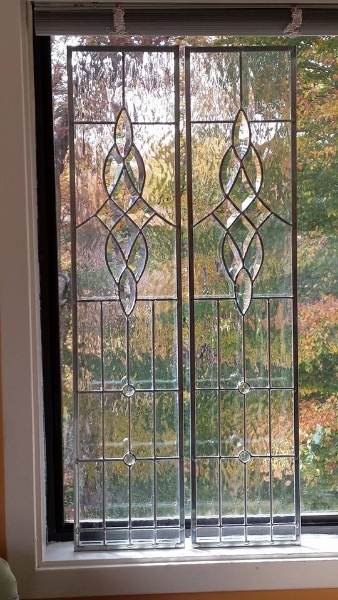 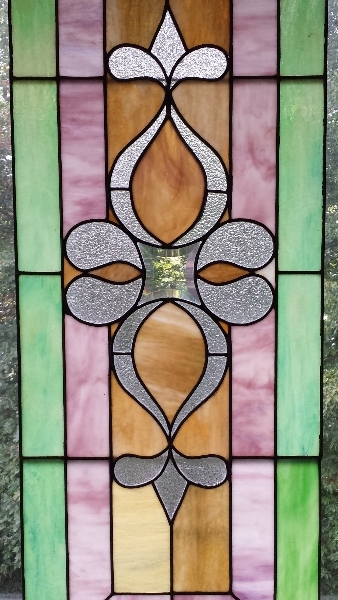 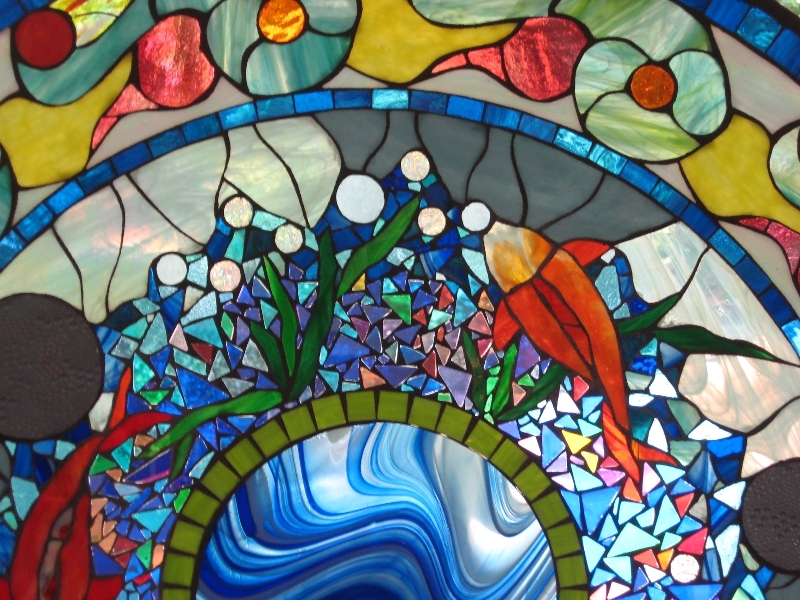 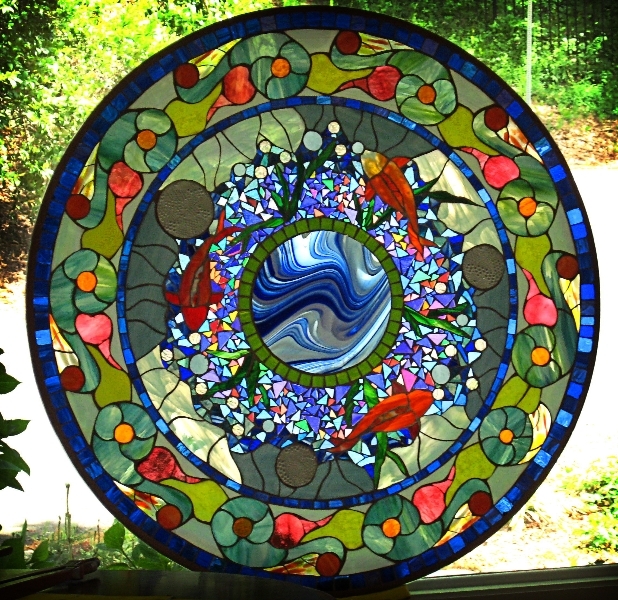 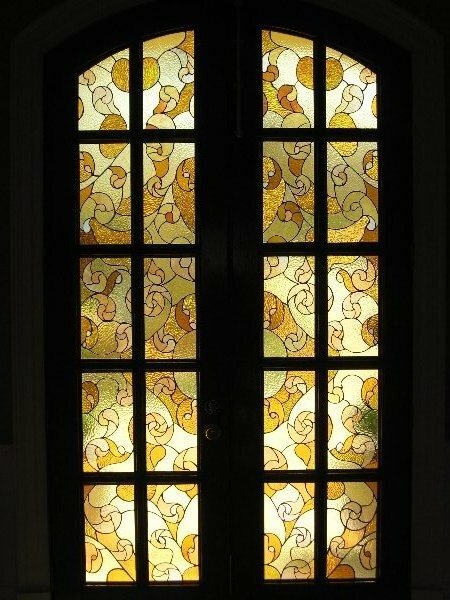 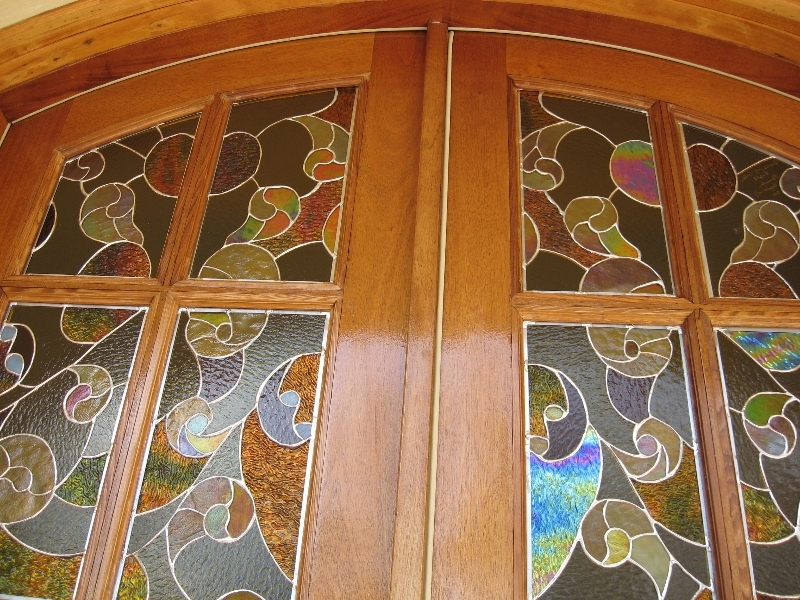 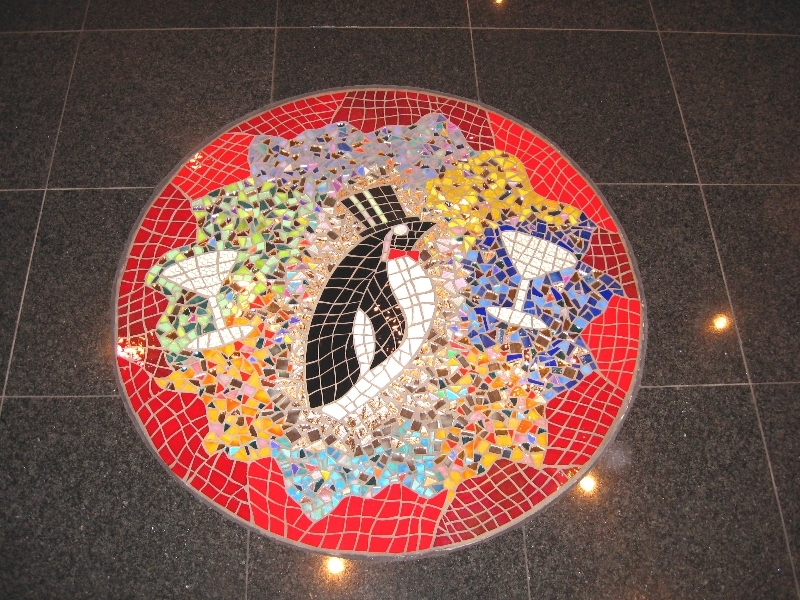 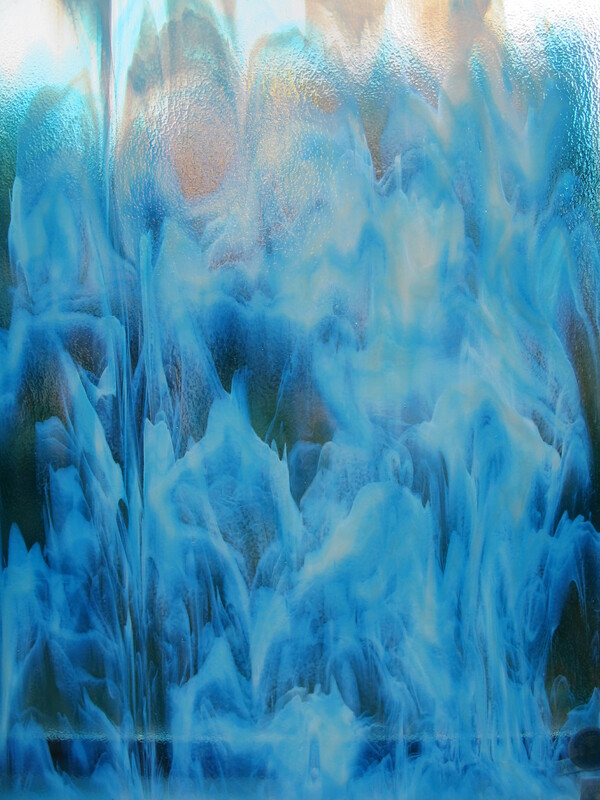 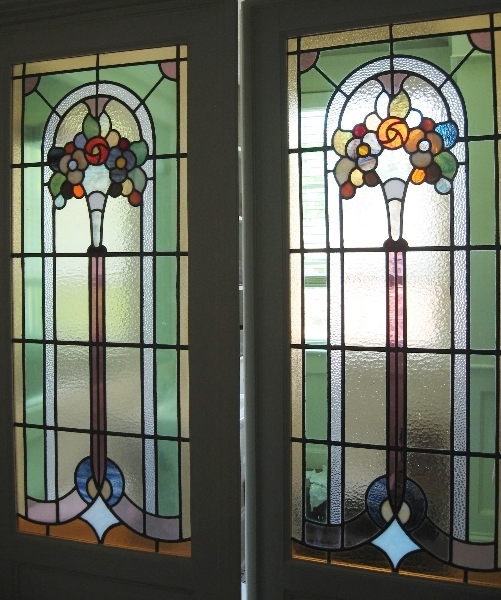 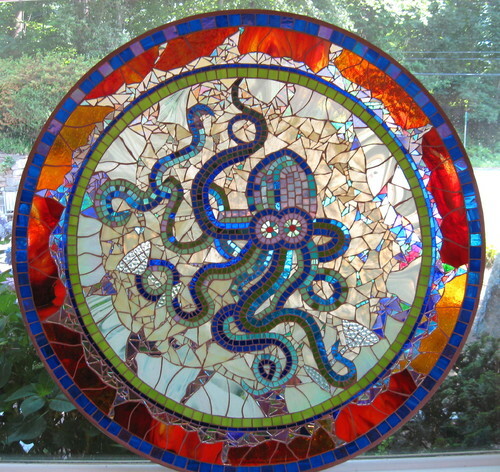 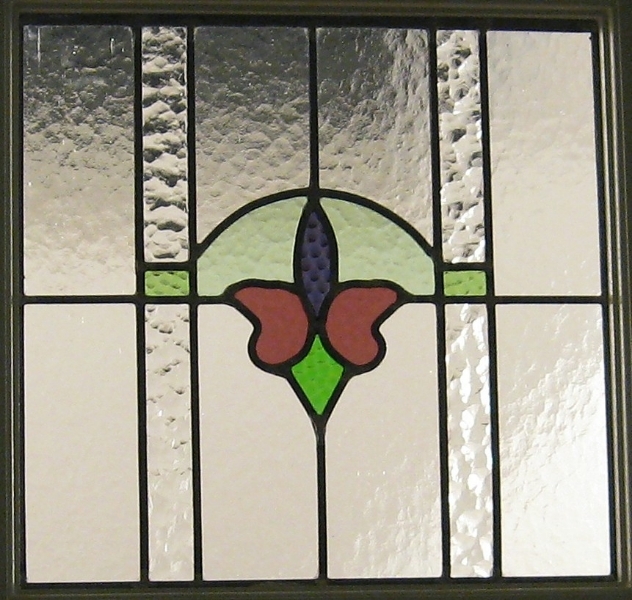 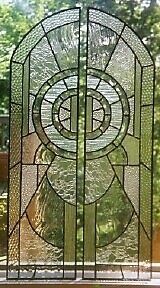 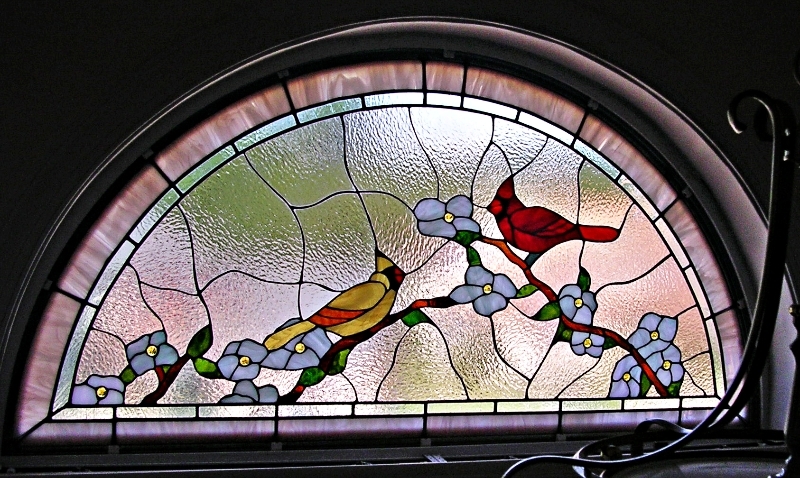 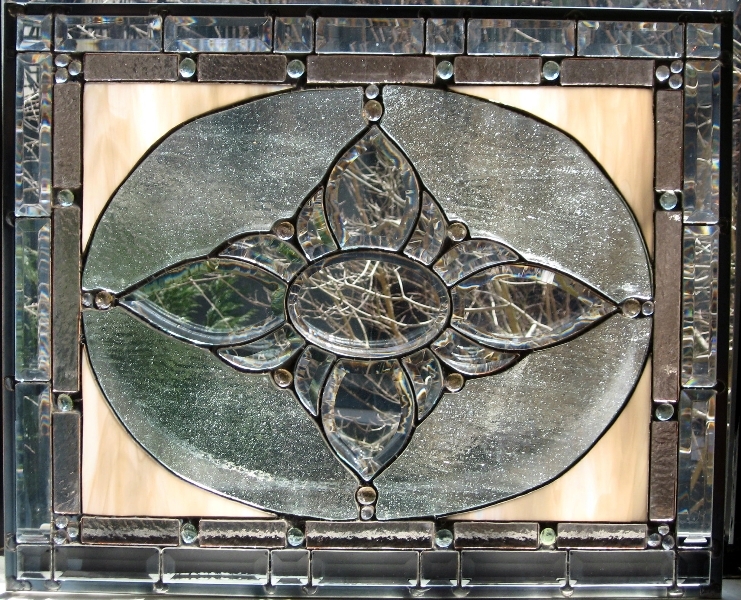 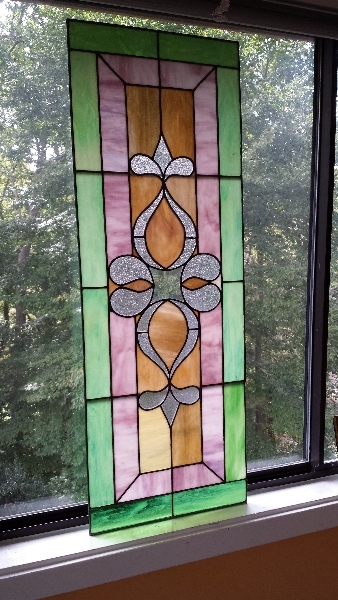 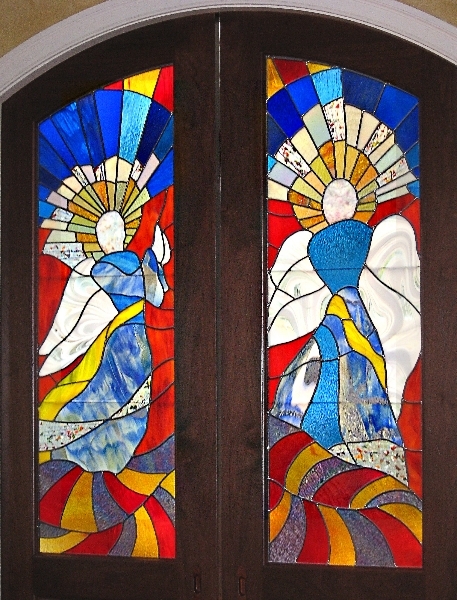 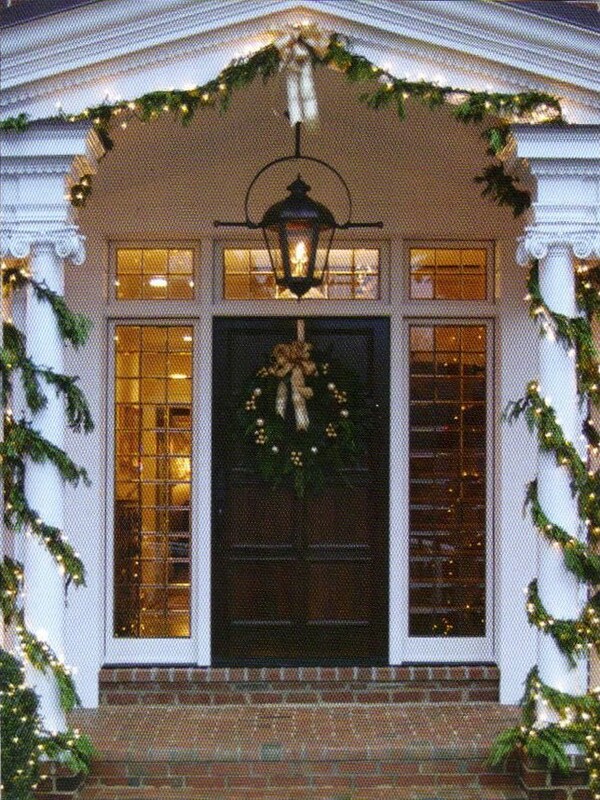 It is a leaded stained glass panel that was commissioned by Rob Morris of Morris-Day Architects & Builders. 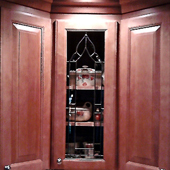 The panel has been installed into the main level powder room. 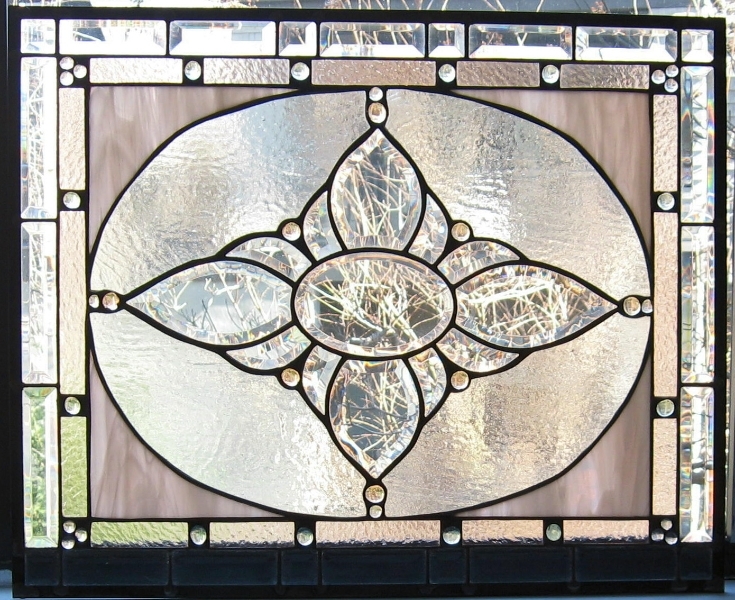 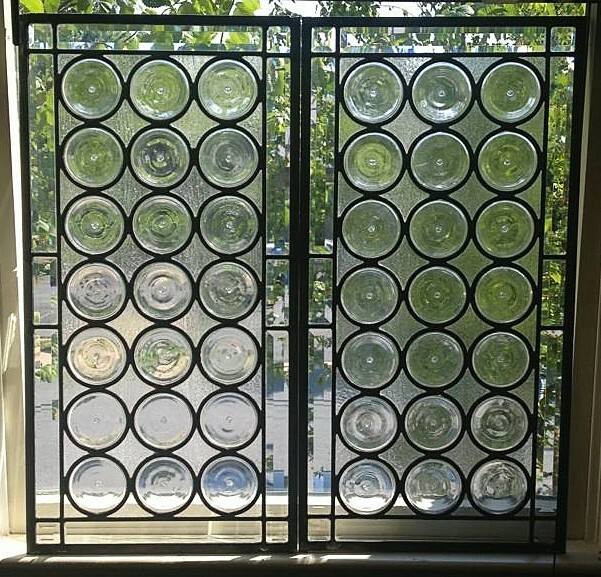 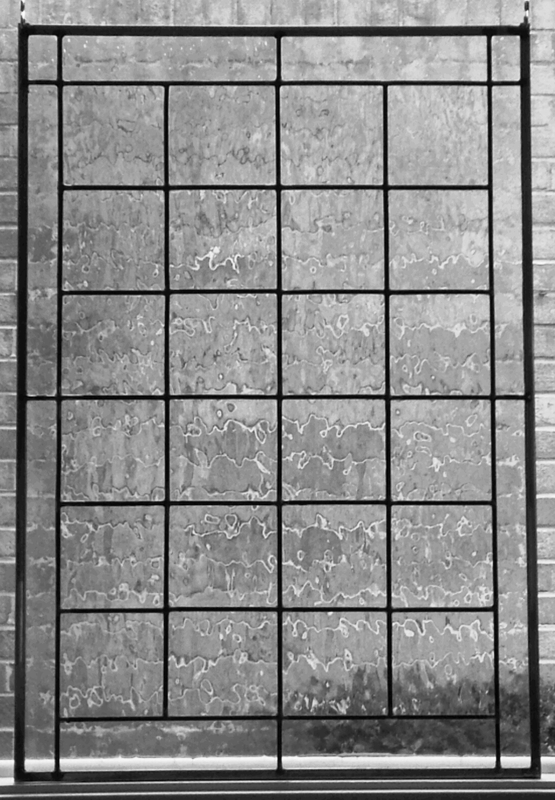 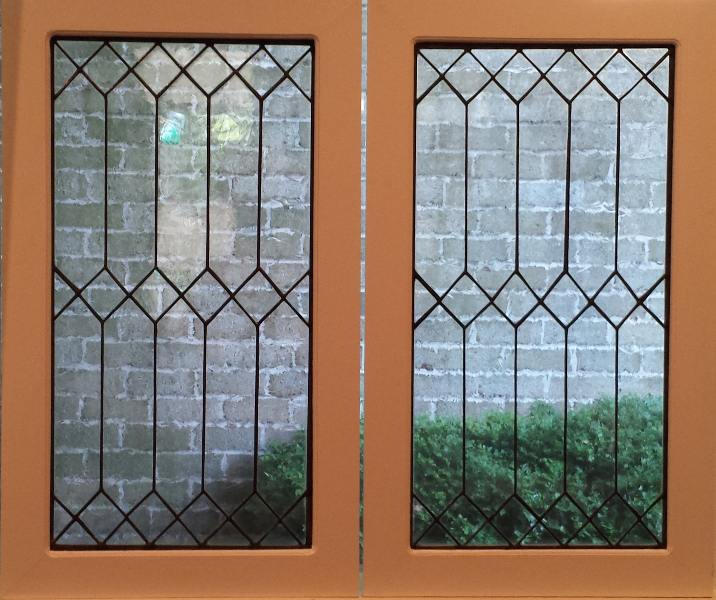 This panel of glass and beveled glass was commissioned by Morris-Day Architects. 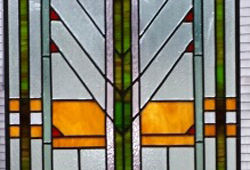 The colors are the palest of greens and the palest of peach colors, both clear and opalescent. 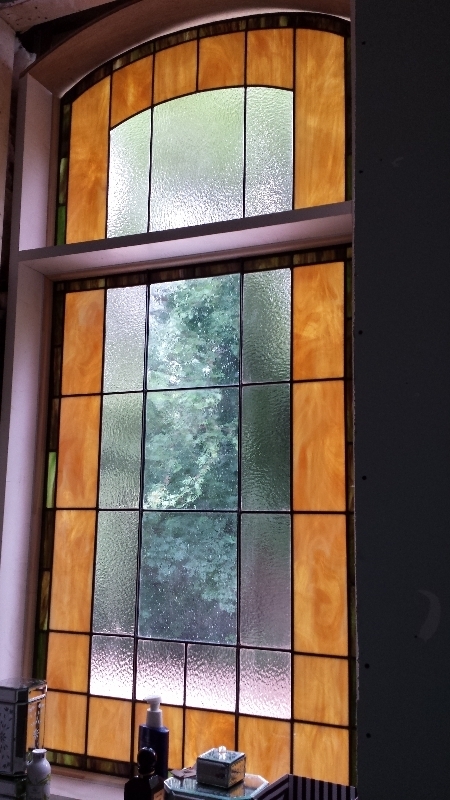 The photos show how the panel looks with different backgrounds and different lightning, depending on the time of day. 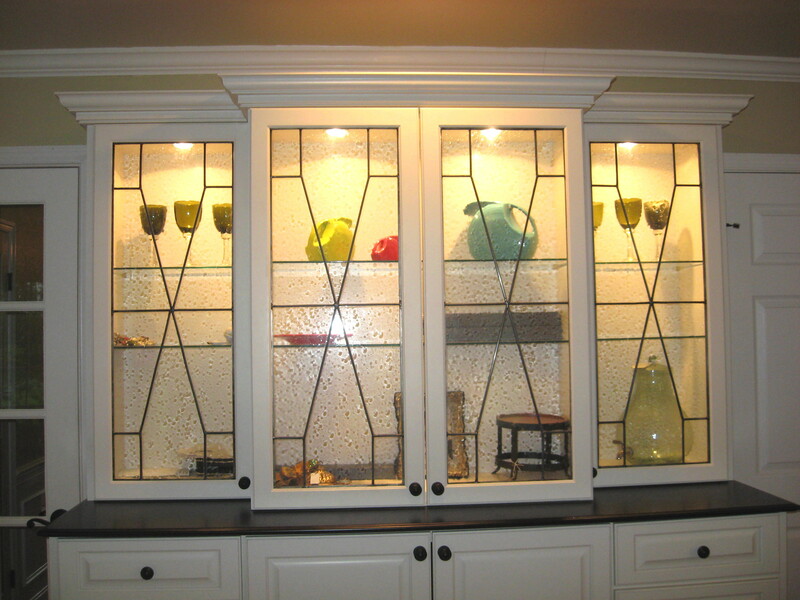 These Leaded Cabinet Panel insets for a kitchen breakfront have a simple design in order to showcase the homeowner’s collectibles inside the cabinets.